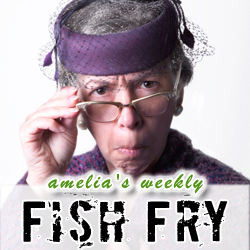 In this week’s Fish Fry, I investigate some new developments in embedded design. I interview Sherif Hanna (Product Marketing Manager at Atmel) about the future of human-machine interfaces and how he thinks touchscreen capabilities help the embedded design community. I also dig into the details of a new Jello-like memory being created by North Carolina State University and how it may not only change what memory is made of, but also where it can be implemented. I give away a STK600 Wireless Development Kit courtesy of Atmel, but you will have to listen to find out how to win.